Are you looking for a thoughtful baseball podcast that blends current topics, statistical analysis, and quick-witted humor into a joyful hour-long program? We're still two days away from a long weekend, but where the Tigers are concerned, Rob and HookSlide have checked out. Detroit is currently mired in a rough stretch, having lost four of their five games since our last recording. They are still within striking distance in the AL Central, but aren't inspiring much confidence with their play. So we're taking the week off! 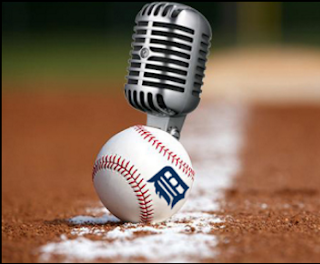 In this episode of The Voice of the Turtle, Rob and HookSlide tackle anything and everything... so long as it's not Detroit Tigers baseball. Want a great barbecue recipe? This show is for you! Looking for the most tepid music takes you've ever heard? This show is for you! Need a beer recommendation for the weekend? This. Show. Is. For You. Okay, maybe there's a little Tigers talk. We just can't quit you, Tigers.